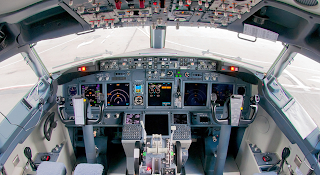 Last Friday (6 June 2014), the FAA published a proposal for additional requirements that would make it less likely that someone could hack into critical electronic systems on some 737 models. The language is a bit dense, but the implication is that several models of the 737 (the 737-700, -700C, -800, -900ER, -7, -8, and -9 series) have an unusual design feature that allows access to the airplane's critical systems and data network by way of the passengers service computer systems. According to the FAA, the applicable airworthiness regulations do not contain adequate or appropriate safety standards to prevent inappropriate access to critical information systems. The special conditions that the FAA wants to add to the regulations contain additional safety standards that would presumably establish a level of safety equivalent to existing airworthiness standards. The FAA would like to hear what you have to say, and invites everyone to contribute to this rule making effort. You can send written comments, data, or or other information to the FAA. While the most helpful comments would reference a specific portion of the special conditions, the FAA will consider all comments. The closing date for comments is 21 July 2014. Mail: Send comments to Docket Operations, M-30, U.S. Department of Transportation (DOT), 1200 New Jersey Avenue SE., Room W12-140, West Building Ground Floor, Washington, DC 20590-0001. Well, I do not want second 11 september. however, I am pleased to hear that the problems identified. then they shall fix it.